Rick James is a graduate of Syracuse University (BFA) and Trinity Evangelical Divinity School (M.Div.). He has served on the staff of Campus Crusade for Christ for more than twenty-one years and is currently responsible for writing, producing, and marketing ministry resources to staff and students. He also serves as an adjunct to Research & Development as well as a major conference speaker. Rick has written most of the ministry’s recent material including Bible study and discipleship curriculum, devotionals, books, magazines, apologetics, and evangelistic tools. A Million Ways to Die is his third project which has been published outside of Campus Crusade. Rick and his wife, Katie, have three children and live in West Chester, Pennsylvania. As the story goes, in 1972, a young Egyptian businessman lost his wristwatch, valued at roughly $11,000. That’s some wristwatch. It’s amazing that anyone who found it in the rough-and-tumble city of Cairo would have attempted to return it, and it’s shocking who did. The city of Cairo has its own unique version of poverty called the Garbage City: a city in the sense that an ant farm is a city. The population of this slum lies somewhere between fifteen and thirty thousand people, though no one really knows for sure. Its name comes from the fact that it is both a garbage dump and home for the city’s garbage workers. Each morning at dawn some seven thousand garbage collectors on horse carts leave for Cairo, where they collect the many tons of garbage left behind by the city’s seventeen million waste-producing citizens. After their day’s work they return to the Garbage City, bringing the trash back to their homes, sorting out what’s useful, and living in and among what isn’t. In Muslim countries there are certain religious restrictions on sifting through refuse, so the inhabitants of the Garbage City are either nonreligious or of some kind of Christian heritage, typically Coptic. These are the poorest of the poor—outcasts among outcasts. The man, true to his word, studied the Bible and grew in his faith. Soon he and his wife began ministering to Egypt’s physically and spiritually poor, leading thousands to Christ. In 1978, he was ordained by the Coptic Orthodox Church and is now known as Father Sama’an. Father Sama’an leads the largest church of believers in the entire Middle East; each week some ten thousand believers meet together in a large cave outside the Garbage City. In John 12:24 Jesus states that “unless a kernel of wheat falls to the ground and dies, it remains only a single seed. But if it dies, it produces many seeds.” Beginning with his own death, what Jesus is describing here is the secret ingredient of kingdom growth. Death. Death is the fertilizer, the turf builder. The kingdom sprouts out of our daily choices to “die to ourselves.” You plant an $11,000 Rolex in the dirt and out of it grows the largest church in the Middle East. Our willingness to die to ourselves and carry our crosses every day indicates the mechanism of personal transformation and evangelistic growth. This is not mysticism, poetics, or philosophical abstraction. This is reality. It’s as daily and as tangible as doing the dishes for someone when you don’t feel like doing the dishes for someone. Every act of dying, done in faith, generates life in some way whether we see it, recognize it, or simply take it by faith. And how do we spot the many possible ways that life might emerge through our little deaths? We can find these opportunities in just about anything our flesh tries to resist. Since then, anything and everything has become a “paradigm shift.” The Gillette Trac II razor was a new paradigm that “revolutionized” shaving; the Clapper changed our paradigm for turning off lights; the Chia Pet changed our gardening paradigm. Many, many, paradigms; lots and lots of shifting. Virginia Woolf famously wrote, “On or about December 1910, human character changed.”2 She was heralding a paradigm shift, but as the phrase “paradigm shift” had yet to be invented, she simply uttered the aforementioned phrase. Woolf referred to the advent of postmodernism, modern claims to the title notwithstanding. Why 1910? In 1910 Einstein debuted his theories of relativity; Nietzsche expounded his philosophy of perspectivism; Picasso painted the multi-perspective cubist masterpiece Les Demoiselles d’Avignon; and writers like Joyce, Stein, Proust, and Woolf began shattering the objective narrative of literature. Relativism and subjectivism were blooming everywhere. This truly was a paradigm shift, challenging commonly held notions of objective truth and reality. We certainly don’t view the world the same as those who lived before the turn of the twentieth century or, for that matter, give our children names like Rutledge or dress them like Howard Taft. There have been many paradigm shifts, real, claimed, and imagined. Even now we are attempting to wrap our minds around globalization, learning to see the flatness of the earth. But no idea, concept, philosophy, or paradigm can deliver on Woolf’s claim. Human nature didn’t change on, about, or anywhere near 1910—only our thoughts about it did. Our paradigm shifted. Reality didn’t budge. What Jesus brought to this world was not simply a new paradigm. Rather, circa 33 AD the very nature of life and death changed, not simply our thoughts about it. Of course there are a million new paradigms, perspectives, and thoughts that flow from this fact, but this is not a new way of seeing reality. This is a new reality, a total cosmic restructuring. Here in America we see the new life of the gospel more clearly than most—at least we seem to see more of it. It’s difficult to drive down the freeway or turn on the radio or TV without seeing or hearing an offer for this new and everlasting life. Most American non-believers know at least someone who’s experienced this new life and are, therefore, privy to a personal demonstration. Not so elsewhere. We are also witnesses of the societal implications of this new life. We can see where politics, human rights, freedoms, social conscience, education, and medicine have been touched by the Christian view of life. Christians might assume there are social implications to the gospel, but if they were to live in a Muslim country, they certainly wouldn’t observe any. Yet as much as our philosophy on life has been enriched by a Christian worldview, our understanding and apprehension of death has diminished. We live in one of the few places in the world where Christians aren’t persecuted (generally speaking), and martyrdom is as likely as contracting malaria or Ebola. Add to this the unprecedented historical anomaly that since the beginning of recorded time, no people—except this current generation—have ever lived with a mind-set that ninety years of age is the horizon of human life. Not even remotely. Through wealth, medicine, technology, food, and cosmetics, we think of and relate to death in the abstract, as something requiring life insurance. This perspective is alien to Scripture, and it’s alien to the majority of humanity. And yet the symbol of our faith is a man nailed to a cross. It could have been something happier, like the yellow Walmart smiley face, but it’s not. More than lepers and mustard seeds, death is the dominant New Testament metaphor for the Christian life. We were dead in our transgressions, and death was at work in us, but then Jesus died for us; now we are dead to sin but alive to God, and we must die daily (though we will never die); and yet we look forward to the resurrection of the dead, and on and on, as if Sylvia Plath had some hand in the writing. And all this is just on the level of illustrations and metaphors. If we were to look at the New Testament from a historical or narrative perspective, it’s immediately striking that all the main characters die. We get to know Paul a bit through his letters, but even as he writes, he’s in prison awaiting execution. It seems like we’re just starting to connect with Peter when he’s crucified, and by the end of Christianity’s opening season, John’s the only one remaining of the original cast. What happens in the New Testament? To those of us living in a civilized superpower, all this talk about death is strangely foreign—something primitive, something out of National Geographic like foot binding, neck stretching, or packing a gourd into the lower lip like a pinch of Skoal. My daughter is doing missions work in East Asia this summer, and the cultural difference that has struck her the most is the mentality that one simply leaves something—a rat, a cow, a person, whatever—where it dies. It’s like in the rural South, where folks leave their car or tractor to rust in the spot it stopped working. I’m not saying this is a healthy view of death or that throwing a body into the Ganges River is more biblical than hosting an extravagant celebration-of-life ceremony. My point is that death is much more integrated into the fabric of life in almost every other place on the planet—and everyplace else in Scripture. While we may not need to be tutored on the abundant life of the gospel, we need to be reacquainted with its more than abundant death. But don’t let this scare you; death isn’t quite the same since Christ consumed it. It’s been tamed and domesticated—it’s the bee without the sting. We no longer serve it—it serves us. When I think of Bayer aspirin, I think of families, happy babies, the smell of Vicks VapoRub, staying home from school, and watching I Love Lucy reruns. This is quite remarkable considering the fact that the seemingly benign corporation was, at one time, part of the German pharmaceutical company I. G. Farben. Farben was disbanded in 1952 for its close association with the Nazi Party and active participation in war crimes. Farben had manufactured the gas for Nazi gas chambers and was the chief supplier of the toxic gas Zyklon B. Today, Bayer is obviously a different company, a company that seeks to save lives, not exterminate them. But can you imagine the task set before the PR and marketing departments to re-brand and reshape our perceptions of this company? To help us see it as a source of life and not death? This, I’m afraid, is what we’re up against here. Death has earned quite a bad name for itself—and, I might add, it’s well deserved. What Madison Avenue delivery could possibly change our perspective and make us want to die? Could we say that it’s been reformulated; that it’s not the cold, tasteless, soggy mush we remember; that it’s new and improved; that it’s a heart-healthy, cholesterol-friendly, high-fiber, reduced-fat version of death; that it comes with an extra scoop of raisins in every box? As you can tell, re-branding death is beyond my powers of persuasion. But it is not beyond the power of Scripture, which makes an outrageous marketing claim: that just as green is the new black, and small is the new big, death is the new life. And this, as you’ll see, is not just a catchy jingle. Hebrews tells us that Jesus suffered death so that by the grace of God He might “taste death for everyone.” The writer of Hebrews defaults to what appears to be Scripture’s metaphor of choice when speaking of death and resurrection—digestion. I will try to follow suit in reviewing the events of Jesus’ resurrection. There are food chains everywhere in nature: The grasshopper eats the grass; the rat eats the grasshopper; the snake eats the rat; and the hawk eats the snake. What’s true of all food chains is that hawks and people and lions don’t really occupy the top rung. Death is, in fact, at the top of the food chain; death devours everything but is devoured by nothing. Throughout His ministry, Jesus warned of and predicted the dramatic change coming to the natural order: “As Jonah was three days and three nights in the belly of a huge fish, so the Son of Man will be three days and three nights in the heart of the earth” (Matt. 12:40). Jonah, if you remember, was swallowed but not digested. As Jesus was placed inside the open mouth of the tomb, He entered through the jaws of death. Picture “the cords of the grave coiled around [him]” (Ps. 18:5), wrangling him down like a tongue. “The grave enlarges its appetite and opens its mouth” (Isa. 5:14). Death ingests Him, sliding lower and lower to the “lowest pit, in the darkest depths,” to the very bowels of death. But the Holy One cannot be digested, for “his body will not see decay” (Ps. 16:10). Regurgitation is the only option for that which is inedible. The Son is spit out just as the whale “vomited” Jonah back to the living. The stone rolls back, the mouth of the grave opens, and death forfeits its meal. Death cannot eat life. The empty tomb is death with its teeth kicked out. In communion, our symbolic celebration of this victory, we swallow Christ (His body and blood), just as His life swallows us. We drink His blood, represented by wine, a fermented drink that was extracted from death and decomposition. When Scripture declares that death has been swallowed by life, it is declaring a massive reversal of the natural order. Apart from Christ we deteriorate, body and soul. Death picks away at us little by little until the day its appetite swells to consume us whole. As believers we experience the reverse: “For we who are alive are always being given over to death for Jesus’ sake, so that his life may be revealed in our mortal body” (2 Cor. 4:11). The Christian life is a progressive march, not to death but to resurrection, where Christ slowly transforms us until the day His resurrection consumes us whole. Christ’s resurrection power animates the life of the believer so that our trials and sufferings are continuously being consumed, metabolized, and transformed into new life. Resurrection—not death—is the reigning power within us so that “though outwardly we are wasting away … inwardly we are being renewed day by day” (2 Cor. 4:16). The hands of time are moving backward, and the sands in the hourglass pouring upward. If all this sounds too flowery and poetic, here it is a bit more bluntly: The indwelling of God’s Spirit turned our life into a piñata. Now, the more you beat the thing, the more Christ’s life showers out. “I have been crucified with Christ and I no longer live, but Christ lives in me” (Gal. 2:20). If life is on the inside, there’s everything to be gained by having our lives turned inside out. With the best of intentions, preachers and teachers continue to attempt to inspire us to see the importance and relevance of death to the Christian life. We’ve heard countless stories of persecuted brothers and sisters around the world as well as tales of missionary heroics and sacrifice. I can recall a sermon I gave once, a sermon laced with quotes from the journal of David Brainerd. Brainerd was a missionary to the Delaware Indians during the eighteenth century. He lived in the wilderness and slept on the ground, all the while dying of tuberculosis. Brainerd was Superman. Brainerd would preach, cough up his lungs, pass out, and then get up and preach another sermon. I tried to cast vision for a cross-bearing commitment to Christ, but it didn’t work. “Remember David Brainerd” had the relevance of “Remember the Alamo” and the triviality of “Remember the Titans.” Those listening to my message shared as much in common with the lifestyle of David Brainerd as they did with the lifestyle of Madonna. It felt like I was a parent telling his child to eat all the food on his plate because there are children starving in other parts of the world. Has this ever prompted a single child to mop up the remains of his dinner? It seems like this argument should work, but the gap is so big and the cultural distance so far that it cannot be mentally crossed. Now, if you could scrape your plate into a box and next-day ship it to the starving children, well that would be different, wouldn’t it? That would bridge the gap. I think this is why our stories of martyrs and missionaries sometimes fail to motivate. What we are doing, in effect, is inflating the concept of death, sacrifice, and martyrdom, making them as big, as bold, and as graphic as possible in hopes of shocking people awake. But see, it does the opposite. The more horrible the stories, the more gruesome the deaths, the more courageous the martyrs, the more sacrificial the evangelists—the less like us these martyrs seem. We end up creating more distance between us and them, between us and death. In focusing on these concepts as macro-events, as monumental moments of extinction, termination, and glory, we wrongly elevate these people as a superior class of Christians. The creation of a Christian upper class automatically places us in a lower bracket, and we assume the discipleship requirements of such a bracket to be far less. With the lowering of expectations comes the lowering of ambition. Who can compete with a super martyr? They’re the pros, and we can only hope to caddy for them. This makes what should be the normative life of cross-bearing seem unattainable, something for an elite class of ancient Christians, super leaders, and third-world believers. The Scriptures do not attempt to inflate the concept of death. Rather, they seek to show its relevance to our daily lives and spiritual growth. The Scriptures challenge our cramped and claustrophobic view of the grave and lead us to see death as a process, inviting us to embrace it in its many varieties: death to self, death to the world, death to our pride, and so on. The Scriptures democratize death, requiring everyone to carry a cross and be a martyr. The Bible focuses on the concept, the practice, and the process—the small d of death—far more than on the capitol D of Death—death as termination. The small d of death is critical to every Christian. While we may never die in our attempts to witness, our reputation might. Everyone has an ego, and the death of pride is a martyrdom to be shared by every Christian. Everyone can experience the death of a dream, a job, a hope, a relationship, an ego, or a reputation. We must all die to ourselves. There is no need to push or shove or wait in line; we will all get a chance to die. This expanded meaning of death is clearly what’s meant by the Scripture’s rather elastic use of the concept, as we are admonished to “take up our cross,” “die to sin,” “die to the world,” and so many other deaths beyond the funeral variety. The death envisioned is not a single tombstone, it’s Arlington cemetery—row upon row of graves. To see the smaller, daily opportunities to die is as important as seeing the daily tokens of God’s love and faithfulness that He bestows on us. While neither God nor Scripture ignores or downplays the pain of our suffering and trials, they are unwavering in presenting it to us as an opportunity to be embraced, not a threat from which to hide. A thoughtful examination of a passage in 2 Corinthians explains why: “We always carry around in our body the death of Jesus, so that the life of Jesus may also be revealed in our body. For we who are alive are always being given over to death for Jesus’ sake, so that his life may be revealed in our mortal body. So then, death is at work in us, but life is at work in you” (2 Cor. 4:10–12). It is no doubt human nature to avoid pain; it’s definitely my nature. I dare you to spring out of bed every morning like it were Christmas Day, anticipating what new deaths lie ahead and how God will transform them into life. It’s not a normal way of looking at life, but then again neither is returning from a torture session “rejoicing because they had been counted worthy of suffering disgrace for the Name” (Acts 5:41). However, when you begin to view death as an opportunity for more and greater life, here and now, as well as in the age to come, it changes everything. It reorients us entirely. In the past year I’ve had the opportunity to share the gospel with something like ten thousand college students, with several hundred of those coming to Christ. This outreach to universities was launched from a book I wrote titled Jesus Without Religion. I can’t prove this, but I don’t think the fruitfulness of the book is necessarily tied to the book itself. The book took me six months to write, and the very day after completing it, my computer crashed. As it turned out, the “heads” on the hard drive were cracked, and nothing was salvageable. This, at least, is what the repairman told me; I know nothing of the heads, hands, or feet of a hard drive, nothing of basic hard drive anatomy at all. This would have been the perfect time to pull out the backup copy that I’d saved—if there had been a backup copy. But I had nothing; the book was gone, dead and buried, its remains sprinkled throughout the cyber universe—from pixels it came and to pixels it returned. To give thanks and praise in such circumstances is one way in which death is transformed into life. The blackened logs of death consumed by faith’s flame are transformed into wisps of praise drifting upward. Death is a consumable fuel for life, and any experience of death can yield spiritual life if it is embraced by faith. Giving thanks and praise is simply one method of transference. 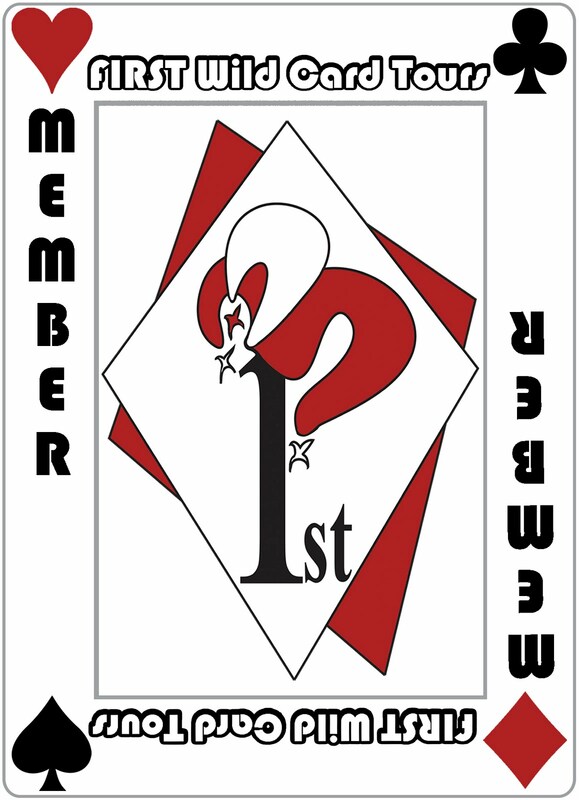 I do not remember if I gave thanks. I might have sworn. But after regaining my spiritual equilibrium, I did start on page one, with word one, and with considerable anticipation that God would use the resurrected rewrite like Lazarus, drawing many to Himself. I can’t prove the connection in this particular case, but I know it’s there. I know it’s God’s resurrection power working through a corpse. (Though in my enthusiasm for the metaphor, I have just called my book a corpse, which can’t be good for future sales). It certainly makes sense to me why an unbeliever would run from death. But for a believer, to run from death is, in reality, to run from life. This is why we embrace death and consider it pure joy in whatever form we encounter it. Death is no longer a dead end or detour to life; it’s a fuel stop. Death, like gasoline, is combusted and converted into mileage, enabling us to get to our destination—the light and life of the great city glowing over the horizon. ©2010 Cook Communications Ministries. 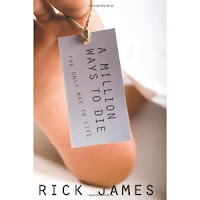 A Million Ways to Die by Rick James. Used with permission. May not be further reproduced. All rights reserved.